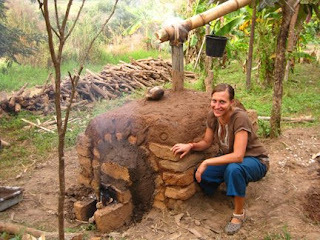 Welcome to low-tech charcoal production. 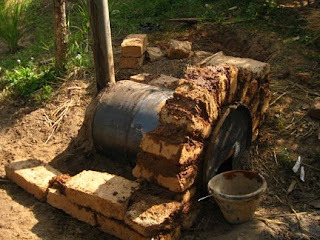 You can make an earthen kiln to produce Bio-Char. 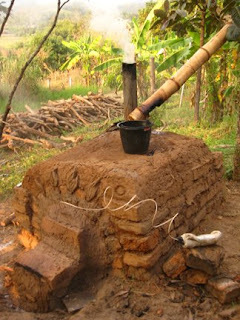 Using ground charcoal as a soil amendment is proving to increase yeilds and sequester carbon among long lists of other positive benefits. 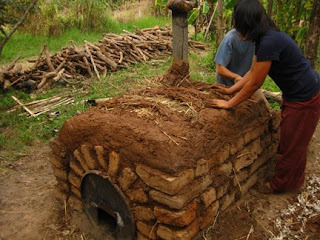 We should all be adding it to our gardens and compost as the ancient cultures of the Amazon did. 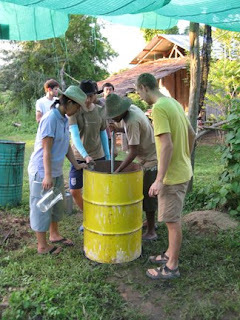 In the areas of the rainforest where this was practiced, there are still several feet of topsoil, also known as Terra Preta. Google it if you're interested to learn more. 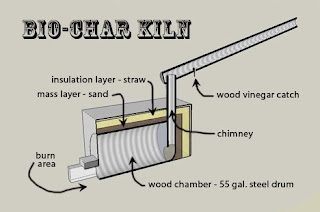 Now, for the earthen building part, this diagram I created shows the basic layers and features of the kiln and the following photos show how we built one. 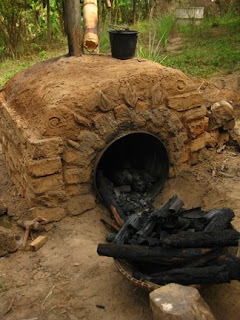 We even added a thermal probe to test the temperature fall-off of the kiln and to ensure the quality of our charcoal. 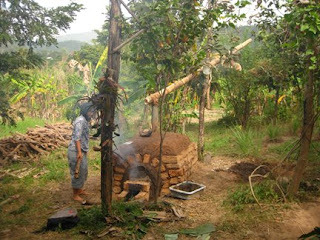 In Thailand, charcoal is often used for cooking because it smokes less and also for water filtration. 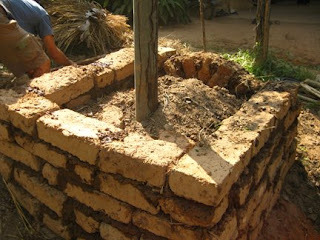 This is an extremely important product in developing countries. 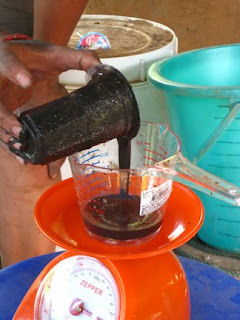 Then we grind the charcoal to get a small particle size. adding wood vinegar to speed up the activation. 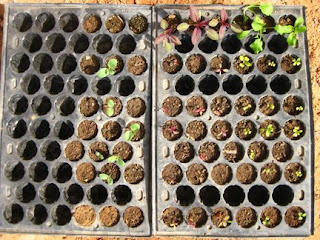 We measured out different ratios to test the effects of Bio-Char on seed germination. 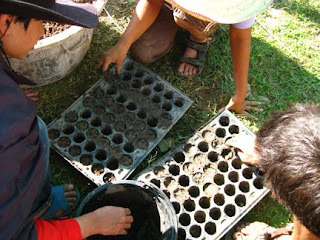 We also planted test plots where we could compare the growth of Bio-Char amended soil and without. 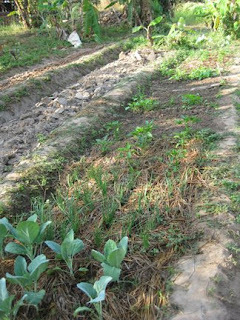 We planted the same plants on each side of the test plot. 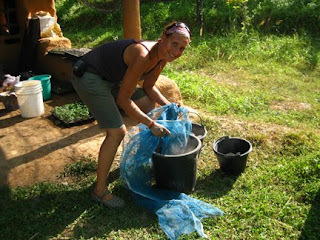 There will be an article in Permaculture Activist soon with the results of this study. Oh, I wish you had gone into deeper detail about the wood vinegar. 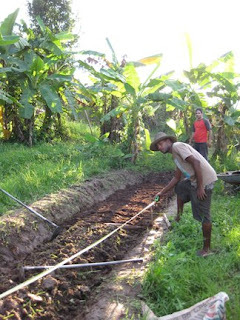 That's where I am in my research. Any sources? 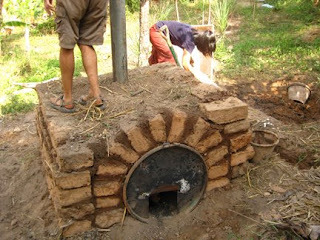 I am looking to build one of these biochar kilns, hopefully in the style you've done here. I noticed you've done other work with Aprovecho? 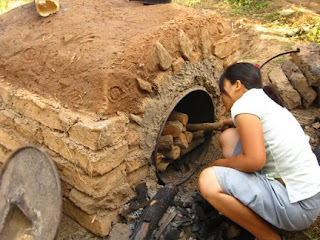 I live in Eugene, and was hoping to find some detailed plans and more specific information on this particular type of kiln. Perhaps you have some, or know someone around this area who might?